*The clue published for ORCHESTRA was faulty. My apologies. The Stickler for this week is now available. Please select your preferred solving format. The solution to this puzzle will appear next week. 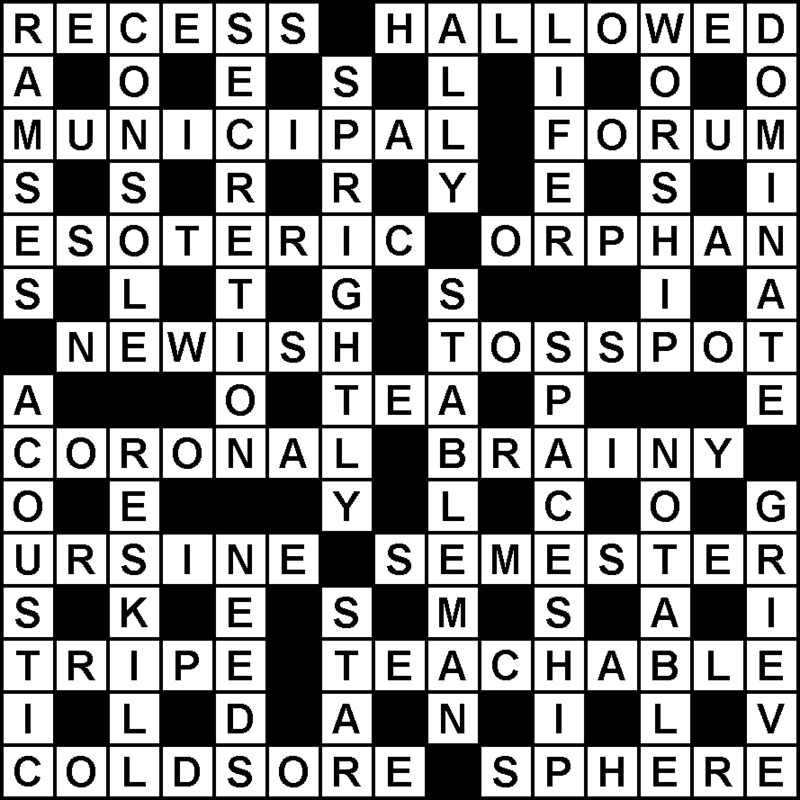 Please include comments or discussion about this crossword below. Request help in the Clue Hints blog entry so all can see. It’s a weekly crossword, so please don’t give/discuss any full answers until the solution is posted (such posts will be deleted/edited). Click on underlined text for explanation of terms. Need more hints for these or other clues? Just leave a reply below. Either a mixture of letters is placed inside or outside other letters, or letters are placed inside or outside a mixture of letters. An anagram indicator and containment indicator will be present. The answer is found by butting together parts defined in the wordplay. There may be some positional indicators that change the order of these parts. A word or series of words that signify the loss of one letter at the start or end of a word or string of letters. Examples: beheaded, cut short, endless, nearly, largely etc. The structure of the answer involves either letters placed outside other letters, or letters placed inside other letters. Which type of container clue is determined by an appropriate container indicator. A word or series of words that signify a mixing-up of letters. Examples: changed, at sea, confused, all over the place - anything that indicates change or jumbling. The answer is a jumbling of letters except for the initial or final letter of the anagram fodder. An anagram indicator and truncation indicator will be present. 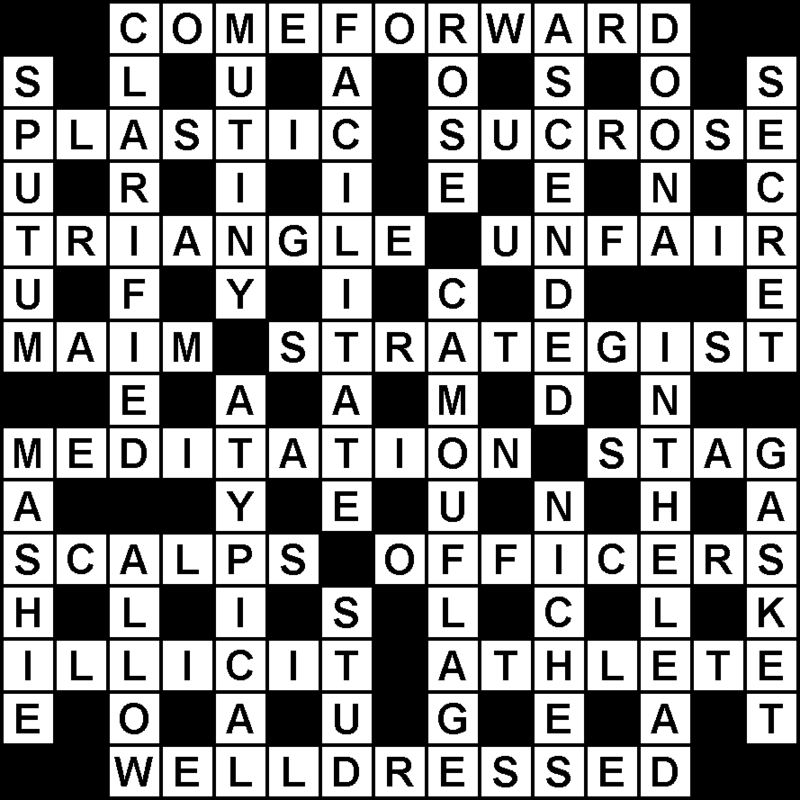 The answer is hidden among the words of the clue. No spare words should be present. A suitable hidden indicator will point to the buried text. Examples: part of, associated with, types of. The entire answer is the result of removing the first or last letter from part of the clue or its synonym. A truncation indicator will be present. ; where’s the definition come from? 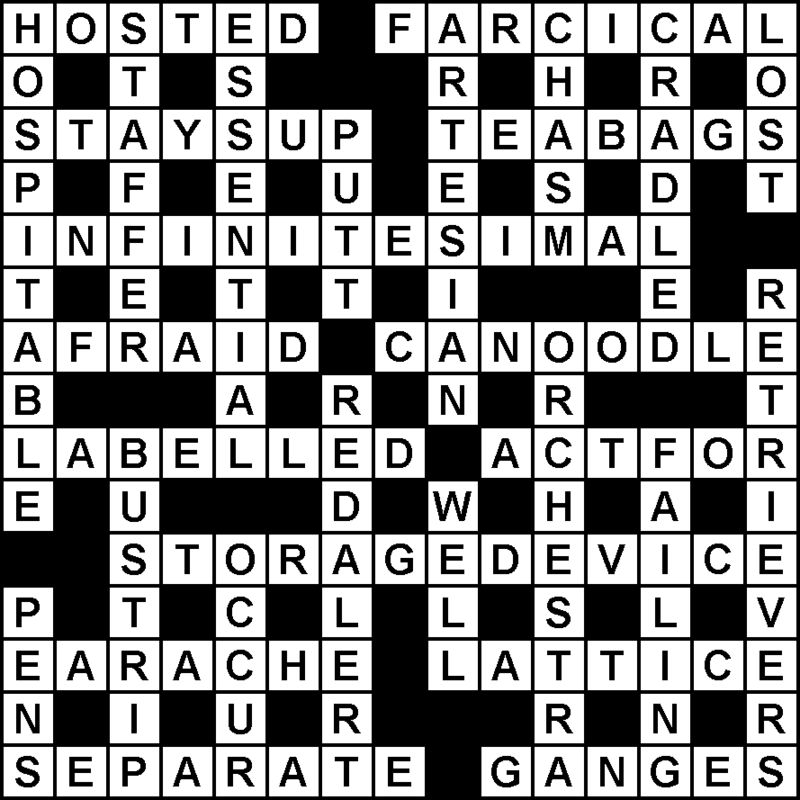 A type of clue where the WHOLE clue defines the answer, and the WHOLE clue also is the wordplay (a mechanism to derive the answer through various cryptic devices). "&lit" is short for "and literally". To qualify as an &lit, a clue must have no unused components either in the definition or the wordplay - it must be readable one way as a definition, and another as the wordplay. A pointer that signifies the placing of one or more parts of a clue (or their equivalents) on the INSIDE of one or more parts of a clue (or their equivalents). Examples: held by, kept by, embraced by - anything that creates the image of being contained. A word or series of words that signify the position of wordplay elements in the answer. Examples: before, after, leading, in the middle of, under (down only) etc. A pointer that signifies the placing of one or more parts of a clue (or their equivalents) around the OUTSIDE of one or more parts of a clue (or their equivalents). Examples: holding, keeping, embracing - anything that creates the image of containment. All words can be validly written with a leading capital without changing their meaning. Hence, the capitalisation of a word may present a different picture than is intended. The clues listed here may contain a component not familiar to all outside of Australia.